Previously the PS Vita was prone to hacks which allowed it to run unsigned code due to the PSP inside the PS Vita being easily hacked. However Sony recently pushed out firmware 1.67 which removed all potential exploits. However now Wololo has managed to get unsigned code running on the PS Vita once again on firmware 1.67 but this time using a different PSP game. He has not revealed the PSP game yet as he does not want it to be pulled from the PSN store yet. 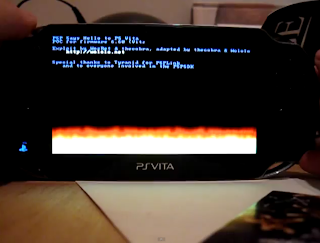 The video above shows "Hello World" running on a Playstation Vita running firmware 1.67. Will hacking ruin the PS Vita? If so how? Let us know in the comments below!